With more states heading into the legalized marijuana realm, trends are likely to change. 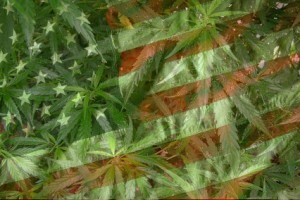 Even if more states were not legalizing this valuable herb, trends would change for those in this ever-changing world. New consumers and new locales mean that different things will be in demand – as well as different types of technology. Below are a few prospective trends to watch for in 2016. First off, new clients mean introducing a new variety of people to the legalized drug. While some would use marijuana, legal or not, others are interested in the new legal remedy for many ailments. From migraines to seizures to cancer, marijuana has medical benefits that many are willing to embrace. Marketing to both groups can help you gain customers, as well as not alienate those familiar with the industry. In addition, prices are likely to drop thanks to a supply overage. Yes, a massive supply of marijuana that is not being bought and used. That is our reality in 2016, and these lower prices can help attract customers – and keep them satisfied. Edible goods are also projected to boom in 2016. While edible brownies and lollipops have been around for a few years, many in the culinary field are becoming creative with their marijuana-laced wears. From sauces and marinades, to cake frosting, and even gum flavorings, marijuana is everywhere, and it is becoming a hot item to market. However, you must be careful to keep these items away from the reach of children – and educate your customers to do the same. Perhaps not a trend, but a very important business move, is the ability to process checks. A dispensary check processing account is in much demand, thanks to the small percentage of customers who pay with cash. Check writing is becoming a lost art for some, but for those who do it, the ability to accept their payment can keep them happy, and give you a new customer. This technology can be hard to find, but the search is well worth it, because it gives you a new avenue to customers. Contact MMA for Dispensary Check Processing today! This entry was posted in Marijuana Industry and tagged 2016 Marijuana Trends, Dispensary Check Processing, Marijuana Industry, Trends in the Marijuana Industry by admin. Bookmark the permalink.